TripAdvisor Traveler’s Choice accolade winner for 7 consecutive years! 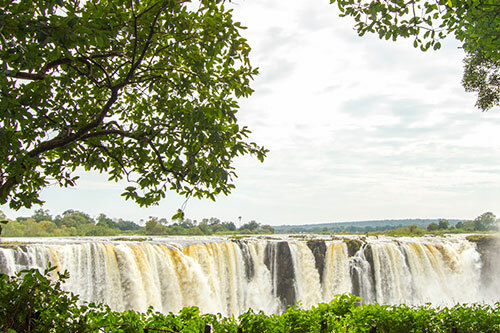 The Elephant Camp is nestled on a ridge between the Masuwe River and the Zambezi gorges, giving guests an uninterrupted view of the breath-taking spray that swells above the Victoria Falls rainforest. Set against a backdrop of indigenous teak woodland, the imaginative use of eco-friendly canvas tents allows this unique camp to live in harmony with the surrounding environment. 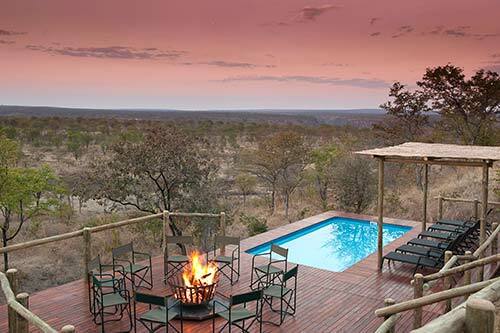 Two camps flow from the African landscape. 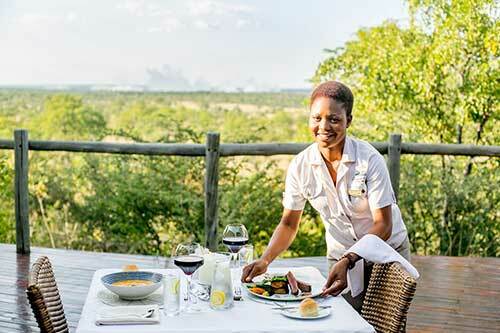 The Elephant Camp Main which consists of 12 luxury suites and The Elephant Camp West consisting of only four suites. The luxury suites each boast a private plunge pool and viewing deck, ensuring that wherever guests may be, the exquisite scenery is just a glance away. 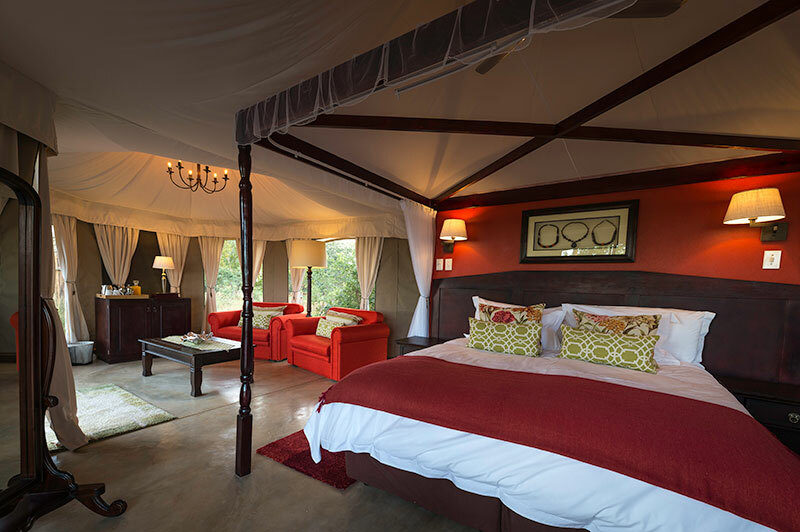 Consisting of only four suites, making it ideal for exclusive use by smaller groups and families seeking a more intimate safari experience. 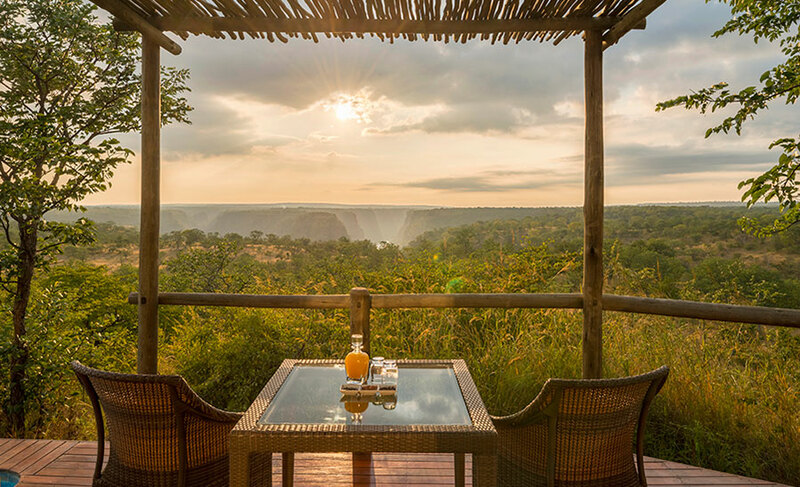 Nestled on a ridge between the Masuwe River and the Zambezi gorges, giving guests an uninterrupted view of the breath-taking spray that swells above the Victoria Falls rainforest. 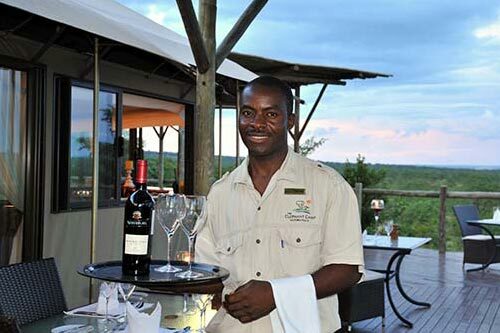 Our chefs are dedicated to creating a fine dining experience that can be equated to Africa on a plate.The flavour of each dish is enriched using fresh seasonal ingredients and herbs grown in the camps gardens.